Christmas is definitely in the air. Santa Claus is already present in many TV commercials. The streets are being lightened up by Christmas lights and lanterns. Christmas carols are blaring in the local FM radios. Christmas bazaars are everywhere. And, of course, shopping malls are all decorated for the Christmas Season. However, it seems like the shopping malls are still feeling the brunt of the economic recession. Gone are the pomp Christmas decorations of the previous years. Christmas decorations are now simple as I had seen during my visit to some of the shopping malls in Metro Manila and the nearby cities. 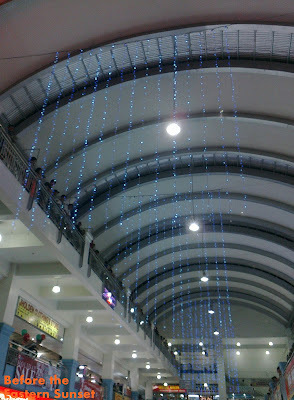 Snowflake parols in Trinoma Mall. 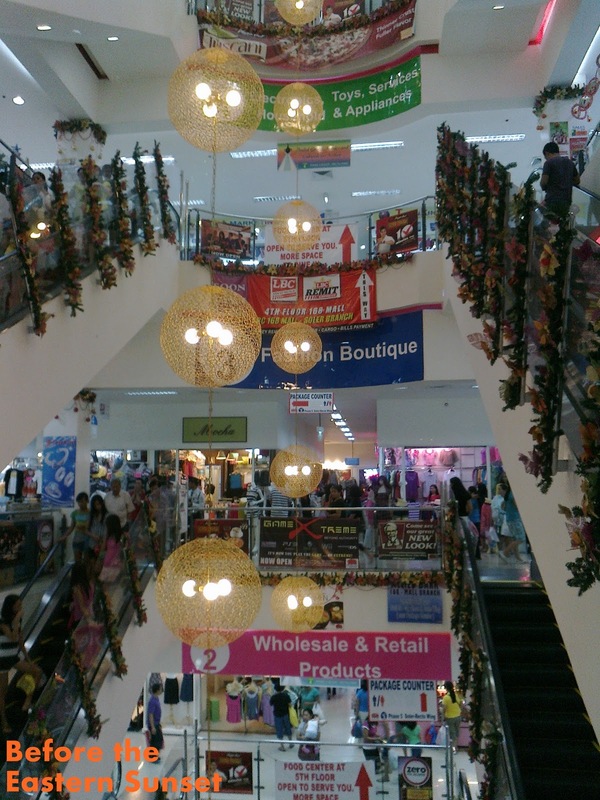 Lights and garlands in 168 Mall, Divisoria. Toy train at SM Santa Rosa, Laguna. 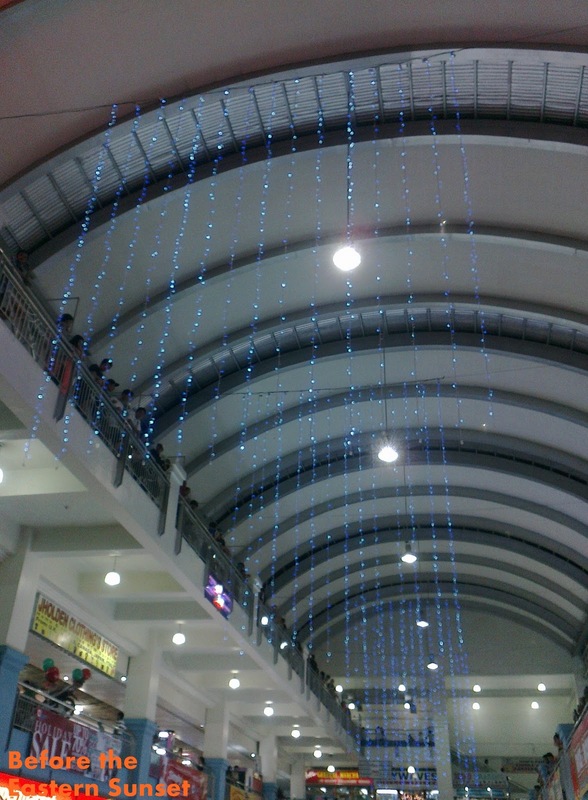 Christmas lights in Robinsons Target Mall, Santa Rosa, Laguna. Robinson's Target Mall only have Christmas lights dangling from the ceiling as the decoration for the Christmas Season. Is it because Target Mall is just a low-end mall that's why it doesn't have creative decorations? The shopping malls that I visited are too few. 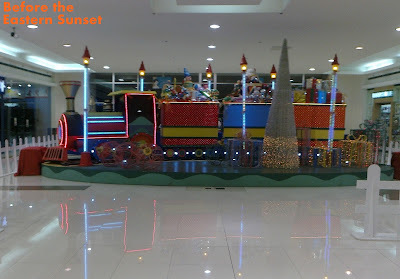 So, the ones that I posted here may not be the best (or the worst) Christmas decorations that can be seen in the shopping malls around Metro Manila and the nearby provinces. Christmas is really in the air but it is not the decorations that counts. What counts is our willingness to open our hearts and welcome the coming of our Lord. Advance Merry Christmas everyone. Finally! It is the month of December. In anticipation of the coming Christmas and New Year, I will feature blog posts that are suitable for this holy season of love and gift-giving. A merry Christmas and Happy New Year to everyone! Visit Ahab Reviews and Tips and read about the expensive LBC Padala. Baka nagtitipid ang Robinsons target mall. hehehe! Mas maganda pa yung sa 168 noh? The expenses will all go into the things that you buy anyway - would be better to tone down the decor...and sell the things at lower prices. Opo. Mas maganda pa talaga yung sa 168. At malamang nagtitipid yung sa Target Mall. You are correct. ^_^ Better to have simple decoration but affordable products in shopping malls than grand decorations but expensive items. Ha ha. 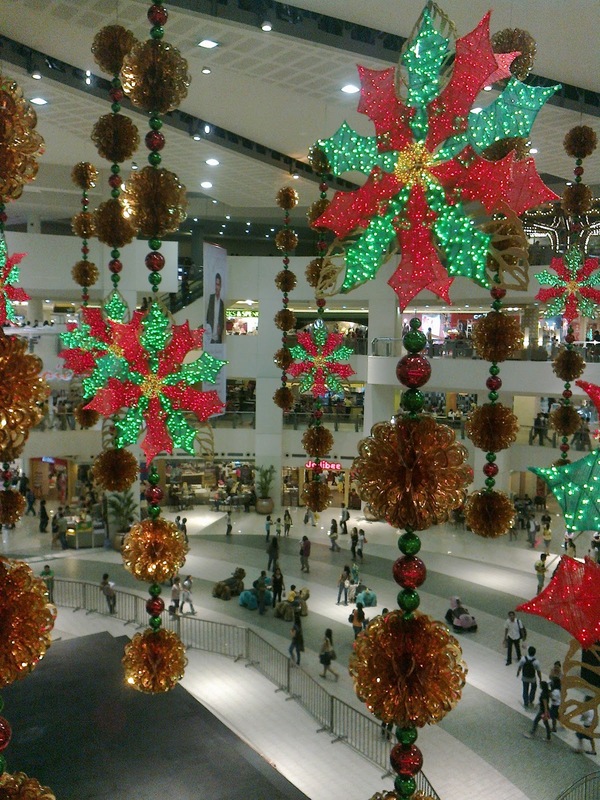 Baka hindi naniniwala sa Pasko yung admin ng mall d'yan.